Moomins first appeared in a series of books and comic strips by Swedish-speaking Finnish illustrator Tove Jansson, and they have since been made into several television series and movies. 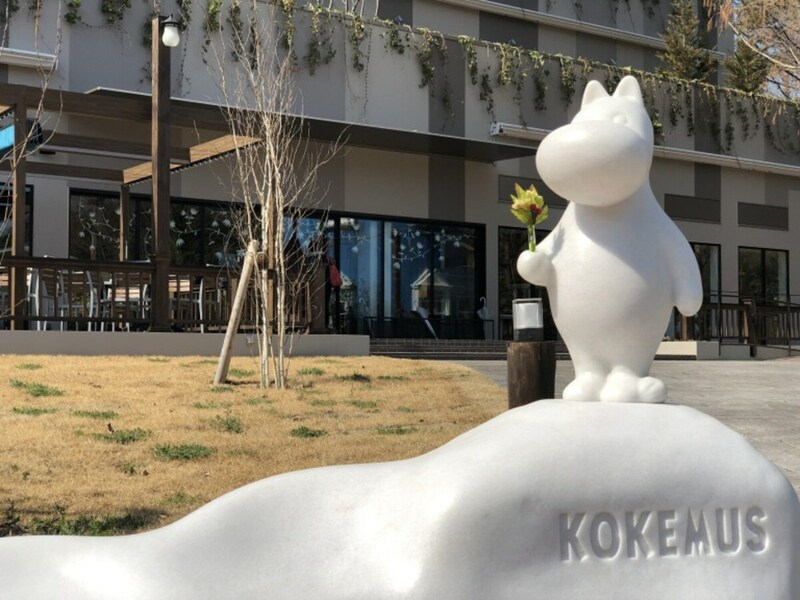 There’s already a Moomin World theme park in Finland, so when it was announced that a new Moomin-inspired theme park would be opened in Japan, fans couldn’t wait! Moominvalley Park is a 50-minute train ride from Ikebukuro Station. After taking a bus from Hanno Station in Saitama Prefecture, you’ll arrive at Metsa Village, which is a Scandinavian-themed park where visitors can enjoy a relaxing Nordic lifestyle surrounded by beautiful nature. Just 15 minutes on foot from the entrance of Metsa Village is Moominvalley Park. The walk is beautiful, filled with trees and views of the lake, and once you arrive, you’ll first be greeted by a cute photo spot, where you can pose with Moomins. And just past the shops and a cafés behind the entrance is a cluster of small, pastel-colored buildings, through which winds a small stream. There are plenty of attractions, shops, and restaurants, but what draws our attention first is the Moomins’ house. It looks like it’s been taken directly out of the book! You can even see laundry fluttering on lines outside, so it looks like the Moomins themselves will pop out of the door and wave hello. The inside is also true to the story; it’s full of tons of little details to make the Moomins’ world come to life. You can visit the kitchen and the living room, and the bedrooms of each of the characters. In the kitchen, the table is set with yummy-looking food, and in the master bedroom, the purse that Moominmamma always clutches by her side sits on the bed. You can even see drawings done by Moomin, the main character, throughout the house! It looks like everything in the house was bought in Europe. It all seemed to be designed and thought of with such care to give the place a real Moomin feel, which really impressed us. One of the other main attractions of the park is Kokemus. In this exhibition area, you can learn about the illustrator Tove Jansson and the history of the Moomins, and get a deeper exploration into the world of the cute fairy creatures. Once you’re tired from exploring the museum, we recommend taking a break in the café in Kokemus’ first floor, which is designed to look like a nighttime party held in a forest. They sell various Moomin-themed snacks there, including a hamburger that visualizes scenes from Comet in Moominland, and a tart designed in the image of the hat of Too-Ticky, the wise woman who doesn’t hibernate like other humans. Plus so much more! There are lots of cute and fun attractions that will totally immerse you in the world of the Moomins. We especially recommend the show held at Emma teatteri, a theater stage right in front of the Moomin house, which happens three times a day. Many of the characters from the Moomins’ world make an appearance! It’s sure to be a big hit with children. What we felt while exploring all of the facilities at Moominvalley Park was that it’s not just a place where you can be surrounded by cute things. It’s an educational experience, too. The park is studded throughout with meaningful quotes from Jansson’s stories; take, for example, “You all know, don’t you, that if people are frightened very often, they sometimes become invisible.” This is from a short story in Tales from Moominvalley, in which a girl becomes invisible after being regularly mistreated with cold irony. The stories of the Moomin are filled with words that we understand much butter now that we’re adults with experience in the ways of the world. That’s why, while exploring Moominvalley Park, there were many times we were brought up short, touched by the depth of the sentiments expressed in the stories. 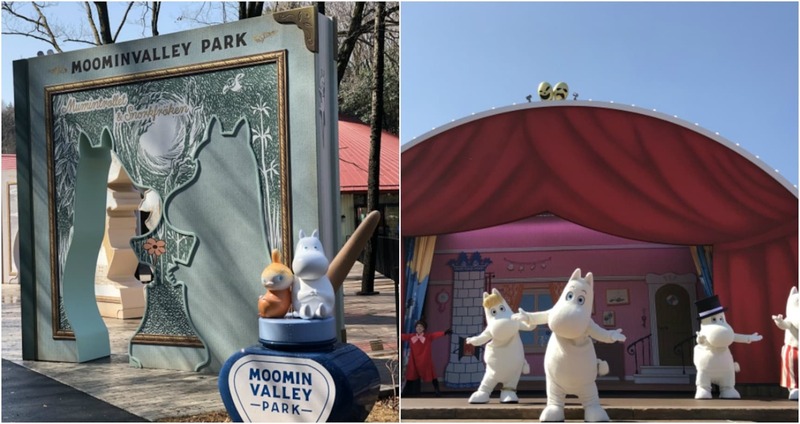 While Moominvalley Park may not be the kind of place that gets your heart racing with the thrill of rollercoasters and rides like other theme parks, you’ll be filled with joy from all the excitement of interacting with these adorable characters and their enchanting world in real life. The park is great for families and trips with friends, and it’s also a place where you can go by yourself when you’re feeling down, as it’s sure to perk you up and bring a smile to your face. Even if you’re new to the world of the Moomins–in fact, especially if you’re new–this park will give you a full sense of satisfaction.